ZIA monitors global R&D activity along the zircon value chain, using a variety of scholarly search engines and produces a review of publications on a rolling 6-month basis. 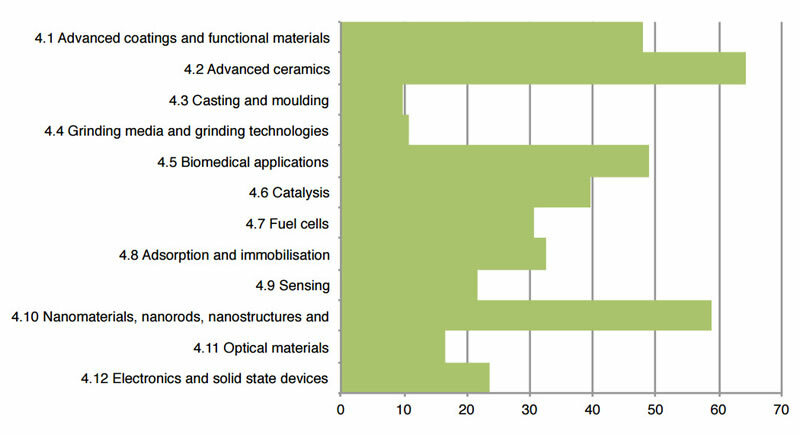 The chart below, from the latest edition 2015, indicates that advanced ceramics, bio-medical applications and nano-materials were important areas of research in 2015. (X-axis: average number of citations per paper for all references in each category).